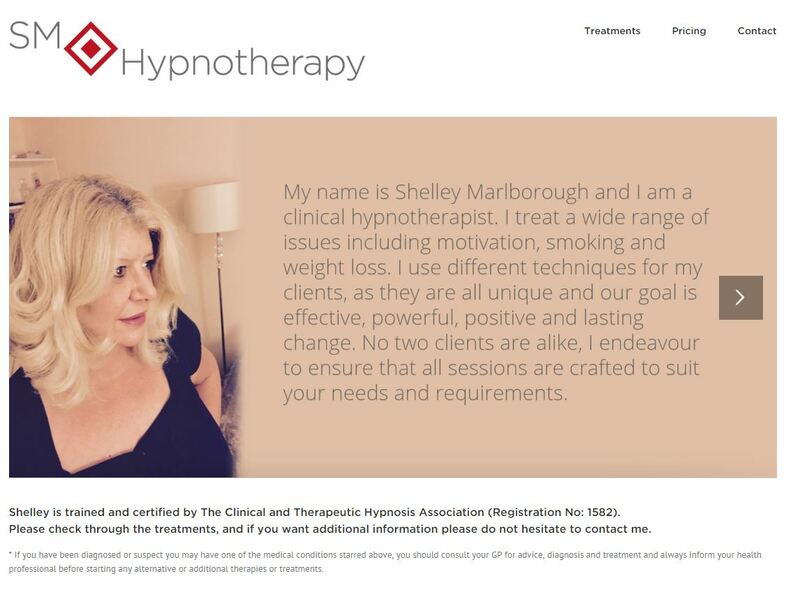 SM Hypnotherapy is a new business created by our client to offer clinical and therapeutic hypnosis. Another local business to us, our client was looking for guidance on the brand and the delivery of a new website where users could find out more about her approach and treatments available. We created the branding around the preferences of our client who was looking to move away from the prevalent swirls and pastel colours of the industry. We created the SM Hypnotherapy logo using a simple font and a colour scheme of red and black, along with bold geometric shapes emphasising the targeting of a goal which could be achieved through hypnotherapy. The website design followed on from the branding, with a large banner image of the client and her own introduction to help put the potential users of this service at ease. The site also incorporated a pricing table and the ability for users to pay online via PayPal.